Here's an example of a chopped Duvall. Haven't posted in a while. I'm letting the parts budget build to the point where I can pull the trigger on a Sellers Equipped Hallock-style windshield for the roadster. Not cheap, but well worth it. So bear with me while I ride out the next month or so. 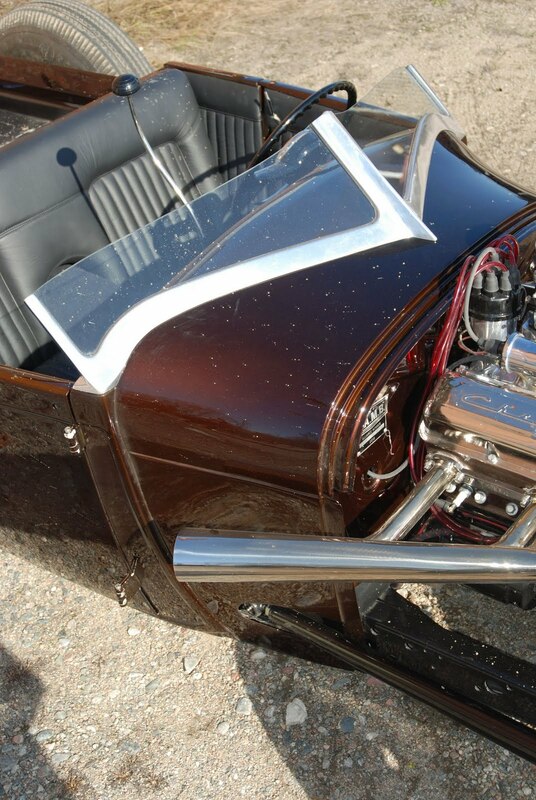 The plan for the windshield is to mildly chop it for my '29. An inch or inch and a half, tops. The brown car up above is a perfect example.